The Great Shaving Cream Investigation - Round 1 - Well Dressed Dad - It is a proper menswear blog. Like, with original words and opinions and suchlike. So, last Saturday saw the first round of the Great Shaving Cream Investigation go down in the hallowed den of beard removal here at WellDressed mansion. From an initial selection of four shaving lubricants, two variants were selected. This meant that my old faithful over the past years, brash US brand Billy Jealousy goes head to head with sophisticated newcomer (to me, at least) Gentlemen’s Tonic, a British brand recommended by the barber that recently gave me a great haircut in Brighton. The double-sided, i.e. 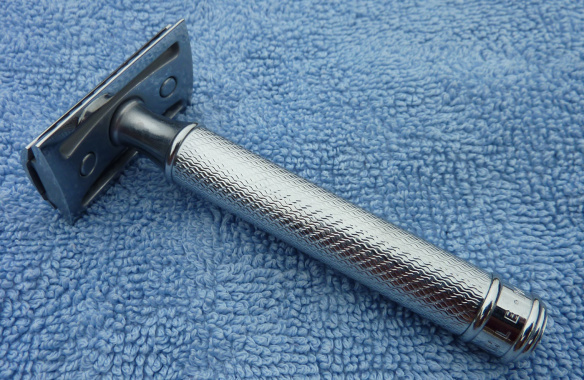 a cutting edge on either side, safety razor as used. A fresh blade is to be inserted into the safety razor to ensure optimum cutting ability (Japanese Feather brand is used). A hot shower to provide equal skin softening to both sides of face and ensure relaxed and stress free setting for tester. One side of face is available for each product, with equal amounts of stubble to be removed due to symmetrical nature of testing-ground. Focus is on how well the cream lubricates, i.e. how easily the razor glides over skin and how my skin feels afterwards, i.e. is it silky smooth and pleasant, or as if someone has run a wire brush over my facial features. Points will be given based on how I feel the products work for me, how they look and feel, and may be biased by less scientific aspects such as “smells really good” or “my, this is really runny and poorly composed”. I tried to be more scientific, i.e. blind tests and an increased number of judges, but the only living soul that could be bothered about this was Rupert the Corgi, and I suspect he was only faking interest in the hope of an extra feed. So, I have done my best with what was available. Oh, there will also be points deducted for including ingredients of dubious nature. The Hydroplane cream from Billy Jealousy appears from the packaging and website to be a winner of awards from organs previously, though this of course puts it at a disadvantage in this case, as we shun what the masses adore, yah? In any case, this is what I have been using for a while now and I admit I know the product well. It is recommended to use it with the Hot Towel pre-shave treatment, which I have done, although as far as I can tell all this does is make your fingers warm. Hydroplane is advertised as being free of fragrance, colorant and benzocaine, which is all good as far as I am concerned. Superior lubrication is promised by the inclusion of Dimethicone, water-soluble micro-silicone in the cream. More about this later. The “Classic Shave Cream” from Gentlemen’s Tonic is another lube in a tube, packaged in a pleasingly designed cardboard box. “Classic Shave Cream” is translated into 10 different languages, so I imagine this is a product sold all over the world. The tube I bought is the “Babassu and Bergamot” flavour, though I can’t tell if there are others available as this one appears to be gone from the selection already and only a more traditional shaving cream for use with brush is now available. This may be a hint of what is to come. The packaging claims the product is environmentally friendly and cruelty free. We’ll revisit that claim. With serious reservations about this photo, it does in fact show Hydroplane and Hot Towel creams. So, with my expectant face fully moist and ready it was time to get down to business. First I mixed up some Hydroplane and Hot Towel, by way of squirting a portion of each into my left hand, mixing the two and applying using my right hand. As per directions it was rubbed throughly in, evenly over the area to be shaved. I always leave some in my left hand, as I always shave in a multi-directional and multiple-application manner, which is a complicated way of saying I first shave downwards, then sideways, then upwards, applying fresh cream between each. This time, no doubt partly due to taking more care in the preparation, the stubble almost fell from my face. 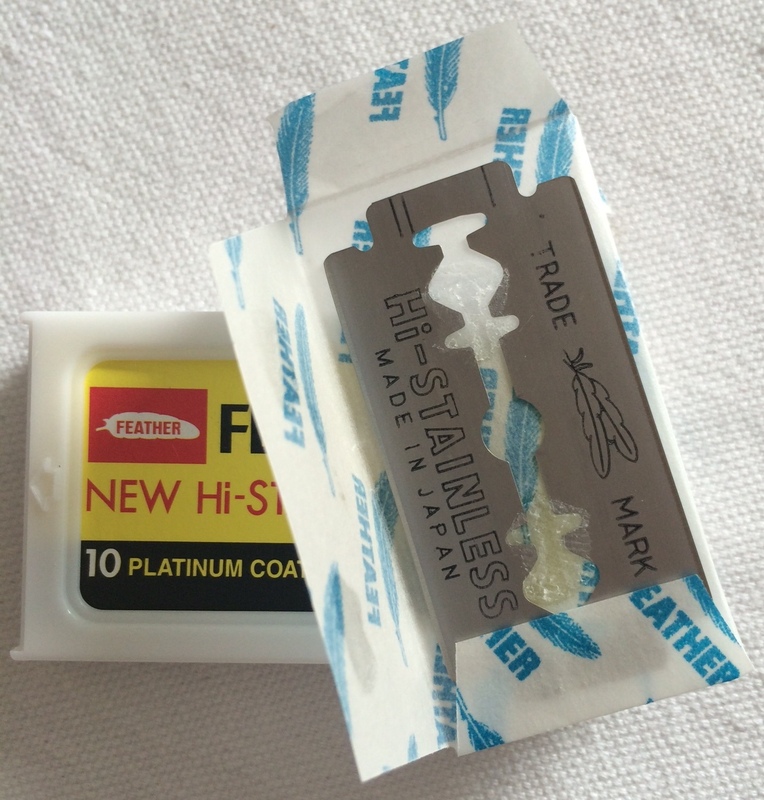 Even though it was unusually long and would normally clog the razor, it was quickly cut and slid off the razor. The lubrication provided by the Hydroplane cream was superb. A quick selfie at the halfway point! So, half a face done, time for the newcomer, the Classic Shave Cream. Quite high expectations for this one as it appears to be a quality product and came highly recommended by a professional user. 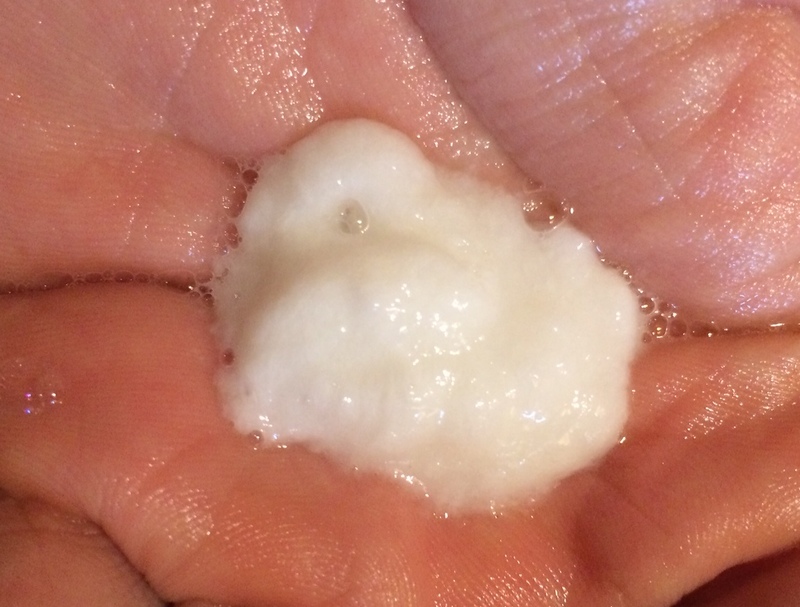 Initial impression on squirting a portion into my hand? What the… What came out was a runny, watery-looking substance, certainly not cream-like. A high degree of separation must have occurred, so I gave it a good shake and tried again. This time it was more cream-like, but with a sort of light feel to it. As per instructions I whipped it up using my fingers and applied it. And more Gentleman’s Relish, sorry, Tonic, Classic Shave Cream. It was immediately apparent that this was in no way lubricating as well as the Hydroplane. Removing hair was more work and the razor was not flowing as well. I added more cream, rubbed thoroughly and still no joy. 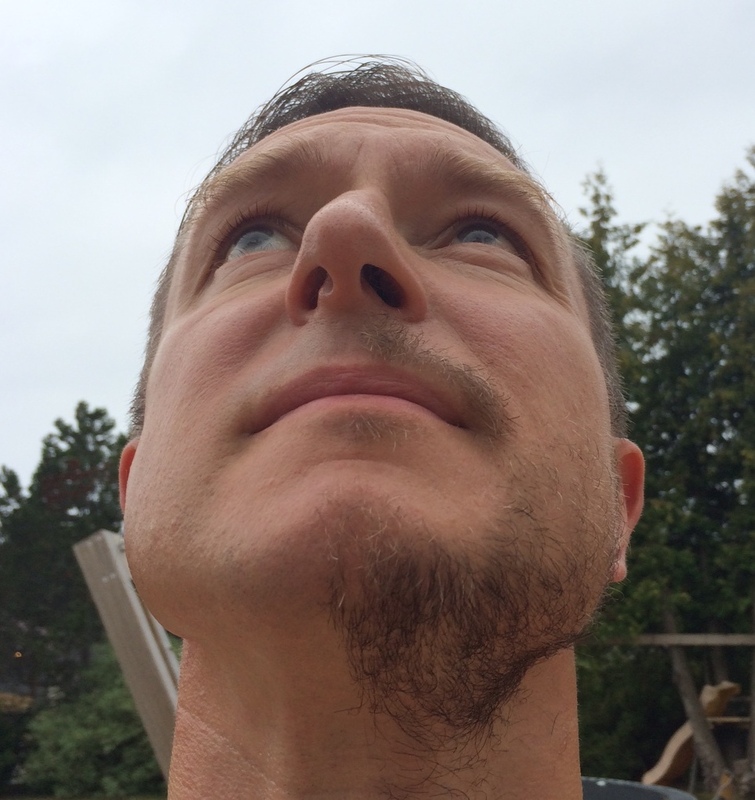 The shave was completed in this manner. After a few hours the side shaved with Gentleman’s Tonic felt distinctly more sore than the Hydroplane side. This is really the acid test of shaving cream, as a poorly lubricating cream means you are removing actual skin from your face. In the case of the tonic, I felt like I’d been sandblasted. So much for their claim of being cruelty free. So, what is the low-down? To me there mainly two aspects that define a decent shave: the success hair removal, and how my skin feels in the hours after. As mentioned further up, points are given based on several other factors as well. This is important to do, according the the Charter for Really Good Reviews, OK? Top marks for lubrication (though I’ve given a 9, just in case I find one even better). Consistency is excellent, it stays where it is applied. Smell? Well, there isn’t any, which is totally fine. Packaging? Average, doesn’t sway me either way. 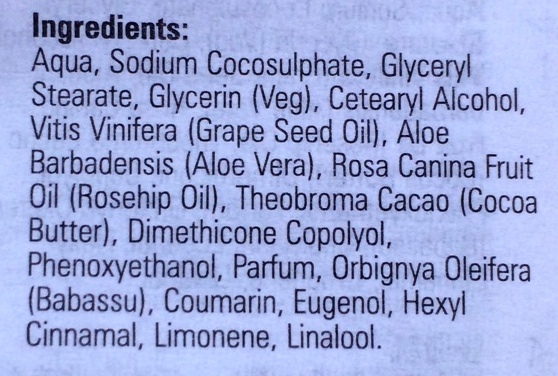 I would like to give a deduction for including both Methylparaben and Propylparaben. 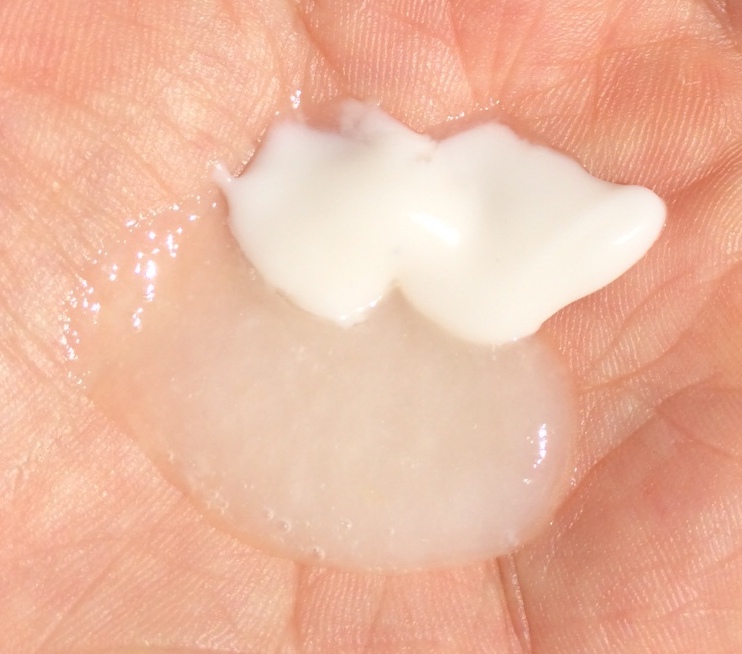 Parabens are generally considered unnecessary to include and could easily be replaced by more acceptable ingredients to preserve and provide anti-fungal properties. Also, a further deduction, and this may be a little ironic, for the use of Dimethicone. This is quite likely at least partly to thank for the excellent lubrication, but on the other hand it’s quite likely sealing your skin and may cause acne. So, 28 points, minus 3 points for ingredients, gives 25 of 40 points for Hydroplane. Two points for lubrication is being generous, as it may just have been the moisture in the cream that lubricated. The consistency was too runny, so once mixed up the cream would hardly stay in place. The smell of Bergamot is quite noticeable, and wonderful if you like it. The packaging is fairly attractive, though the glue on the cardboard box fell apart almost immediately. Contents of Gentleman’s Tonic cream. Oh, and points deducted for the inclusion of Dimethicone here as well. Another ironic twist in that in this case it doesn’t appear to aid lubrication at all. If only. And this one gets 17 points, minus 1 for an ingredient, for a total of 16 of 40 points for the Gentleman’s Tonic. Note: I don’t like giving a poor review without justification, so in the case of Gentlemen’s Tonic I waited three days and retried it. The result was as disappointing the second time around, so this is truly an awful product. 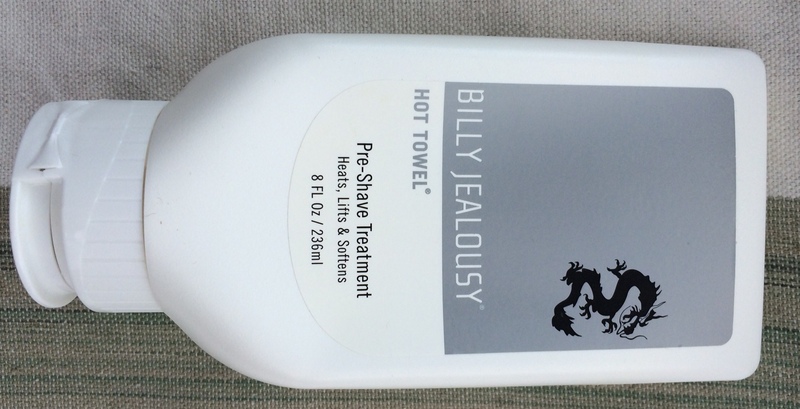 With regards to shaving experience, this was a hands down win for Billy Jealousy. Gentlemen’s Tonic was so disappointing that I can’t see myself ever using it again. I do however have reservations with regards to the contents of both creams, and especially in the case of Billy Jealousy. The obvious question at this point is: Are dubious ingredients necessary to make a good shaving cream? Next round will see Kiehl’s “Ultimate Brushless Shave Cream Formula #31X”against Bodyshop’s “Maca Root Shave Cream”. I can already reveal that ingredients-wise, these two offer even greater differences. Clothes: What’s up with “dressing nice”? Ah! Gentleman’s Tonic! Worst shaving and haircut I’ve ever had. It made Mr Toppers look like Trumpers. I’ve never tried Billy Jealousy, great name though. I switched to using a brush a wee while ago, and will never go back. Yes, it’s a fag, but the results are amazing. I also found applying a moisturiser before lathering works a treat, f you can be arsed. Product wise I use Proraso Sapone and a Trumper badger brush. And bulldog moisturiser. Yeah, it’s cheap but it’s easy on the skin. I’ve got the Bodyshop stuff which is OK. Kiehls was too oily. I live their branding, but aside from an amazing aftershave they discontinued (gits) I’ve never liked their stuff. Heresy, right? I’ve been eyeing the Proraso products, so with your recommendation I’ll see if I can find some to try. I will be ending up with a pile of useless products at the end of this!